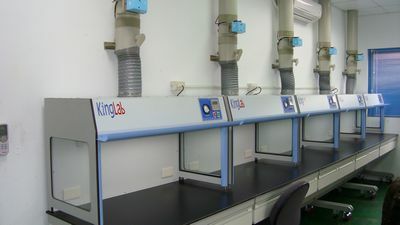 kingLab > Products > Fume Hood/ Air-Curtain Fume H. > Workstation Exhaust H.
We provide a safe workstation exhaust hood with almost no leakage. 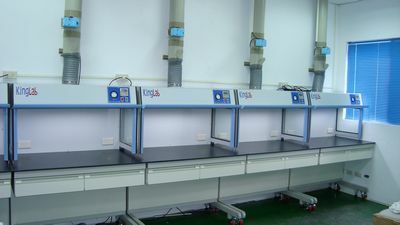 Its design is based on the principle of air flow in fluid mechanics to ensure the safety of the users and achieve energy efficiency. 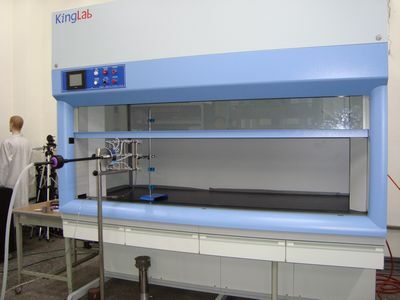 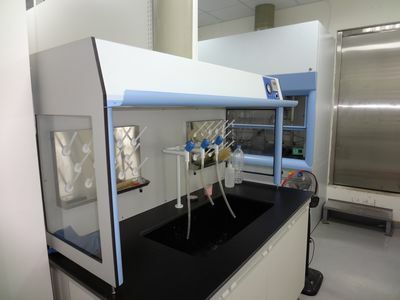 It can also be used as a simple fume hood. 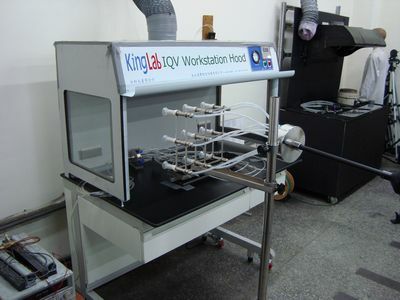 Experiments confirm that, compared to traditional fume hoods, it saves more than 30% of exhaust volume, thus considerably reducing the cost of indoor air-conditioning and duct system. 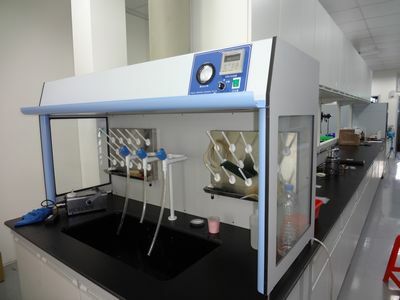 With the laboratory tests based on EN-14175-3:2003 European Standard and ASHRAE 110-1995 US Standard test methods, the static test of the SGS leakage test (minimum limit of 4 ppb) gave the N.D. (not detected) result. 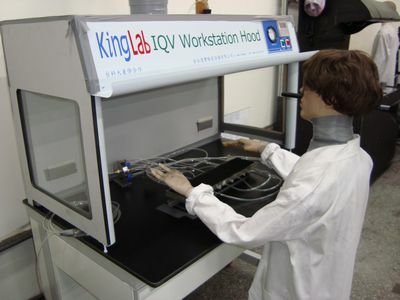 The simple operation interface makes it more convenient to use and energy-saving.